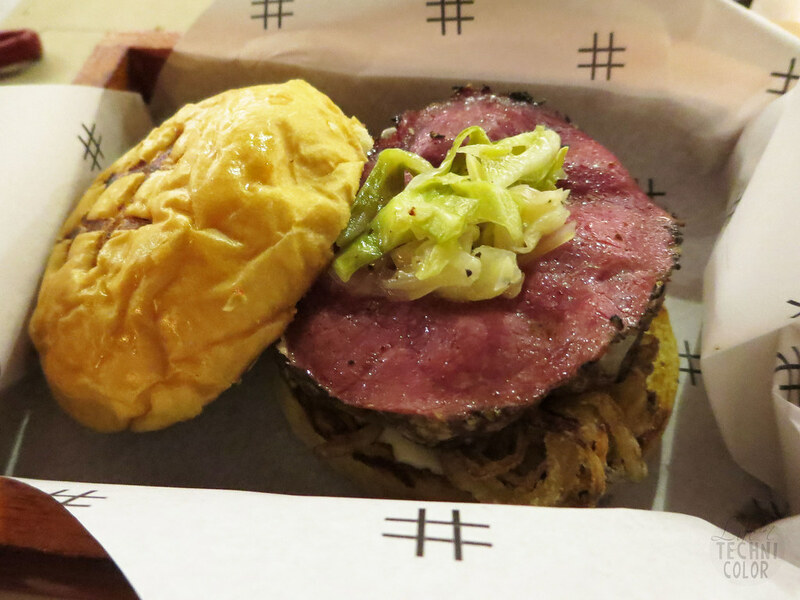 From the airport, we headed straight to Pound to try out the newest burgers in town and the verdict? The drive was well worth it! Another issue I have with burgers is the ingredients. When I was still working in Makati, I used to go to Jollibee a lot, and I would always order the Yum with Cheese. No, not the Champ or the BLT because it had tomatoes, maybe pickles too, I don't know. Don't get me wrong, I do eat tomatoes, just not on burgers and sandwiches (I tried before, but I just end up gagging, not sure why). I really like it in pasta dishes though. Now that I think about it, there was also a time when I didn't like onions and garlic on anything! But since I've started blogging, I'd like to think my taste in food has evolved. I think burgers have evolved as well, at least from being just cheeseburgers and BLT's. I mean, just check out Pound by Todd English's offerings. 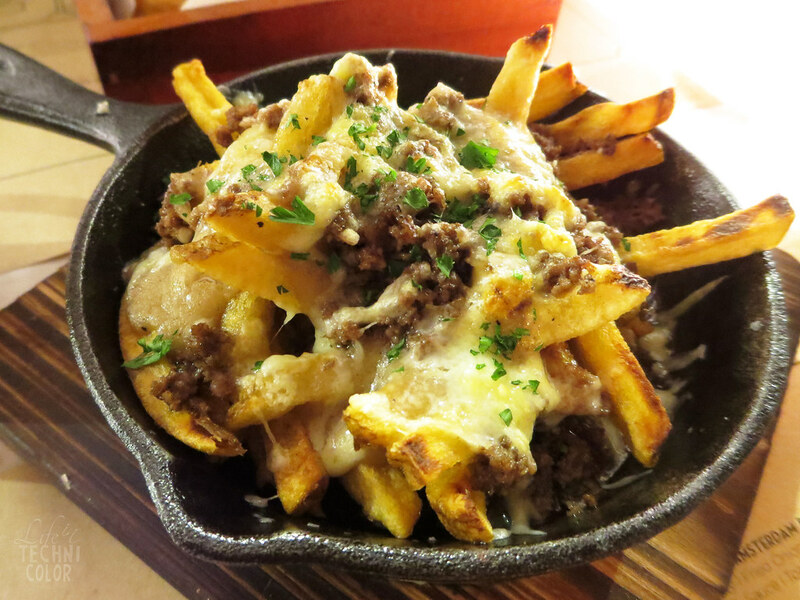 We expected the Poutine to be some sort of amazing, simply because it had Todd English in the name! Haha! There was definitely a lot of cheese in there, which I liked; the fries didn't turn out too soggy, it was a good mix of crispy and soggy, if there's even such a thing. If they had added more gravy, the whole thing would've been too salty already. Between the two burgers, the T.E. Chicken Burger was my favorite because its flavor really stood out. It was sweet and spicy at the same time. 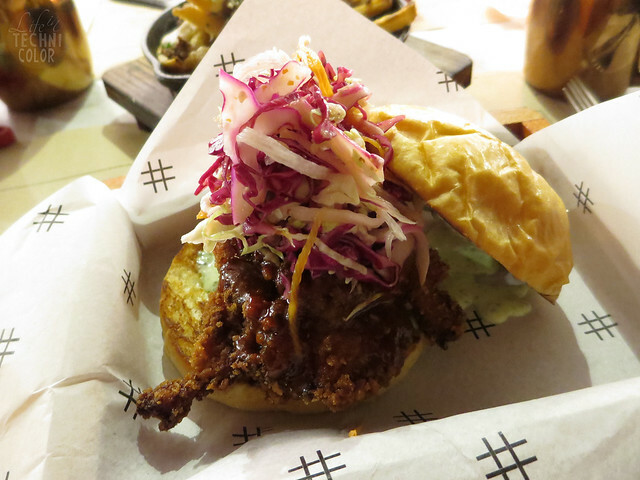 The chicken was crispy and juicy, and the pickled slaw complemented it well. Tim liked the Amsterdam Burger more because the patty was tender all around, and it wasn't malitid. The ham was also a good addition to it, and it had lots of onions, so that was a plus as well for him. I'd also like to commend the staff for the great service. 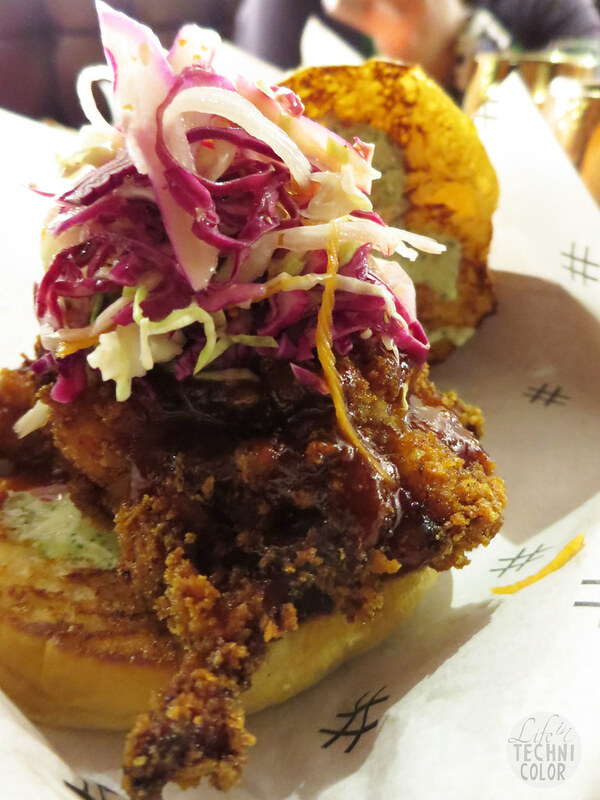 The dishes are priced reasonably, considering the ingredients that they put into each burger. For example, sliders are at P185, and burgers start at P225. So yeah, I'd definitely dine here again. 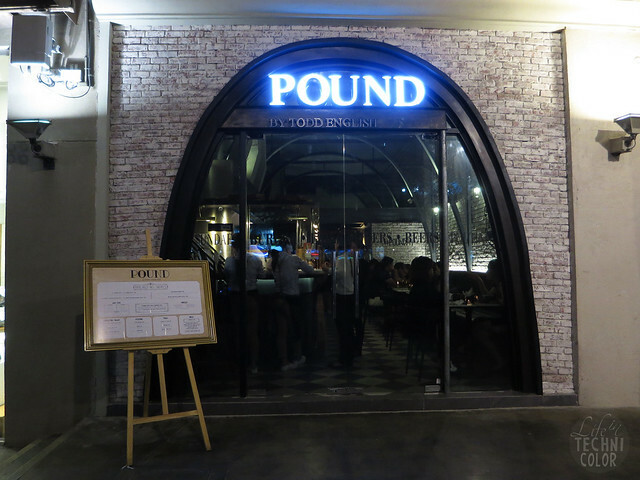 Pound by Todd English is located at B3, Bonifacio High Street, 9th Avenue, Bonifacio Global City. 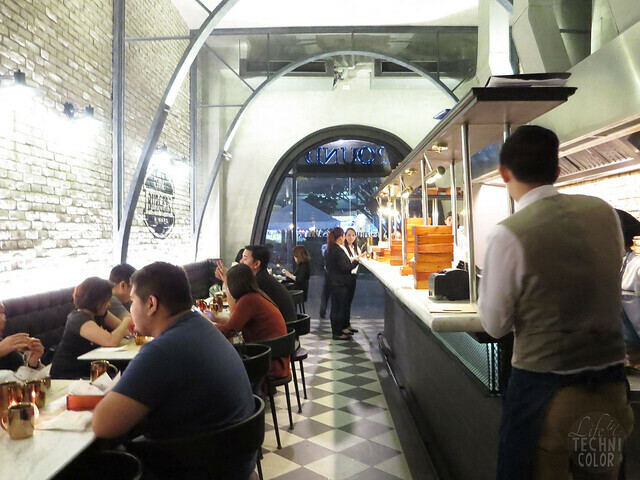 Hey, I am not easily impressed with most restaurants, pero I am making an exemption for this one considering I have not yet visited, much less tried their food. The place is well designed so yes, part of the prices we pay for the food goes to the rental and investments in renovation and decorations. The prices of the dishes seems to be about right based on the size and quality of ingredients. Well, one day if I do find myself nearby, I may as well give it a try. Hi Robert! I was actually surprised when I saw the prices. I would've thought they'd be more expensive considering it's Todd English, so I'm glad that it turned out to be okay. I still have to go back for their other burgers! Hope you get to try them soon! Don't forget to let me know what you thought of it! I have already tried Pound by Todd English as well and I totally agree with you. The restaurant is a really good place to go for burgers. And yes the price is very much considerable too. 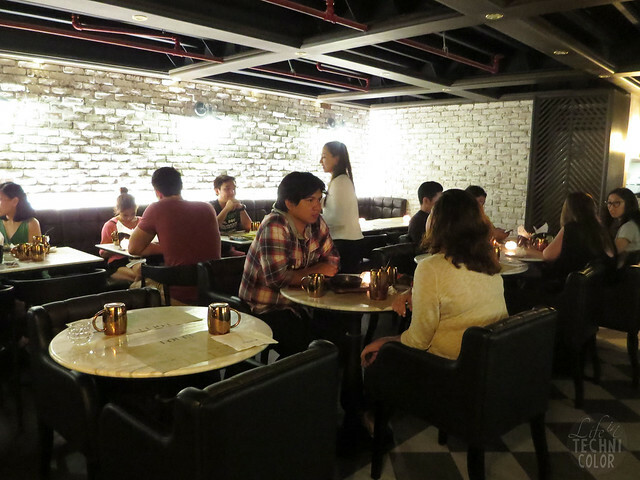 I also wrote a review about this restaurant, maybe you could check it out? 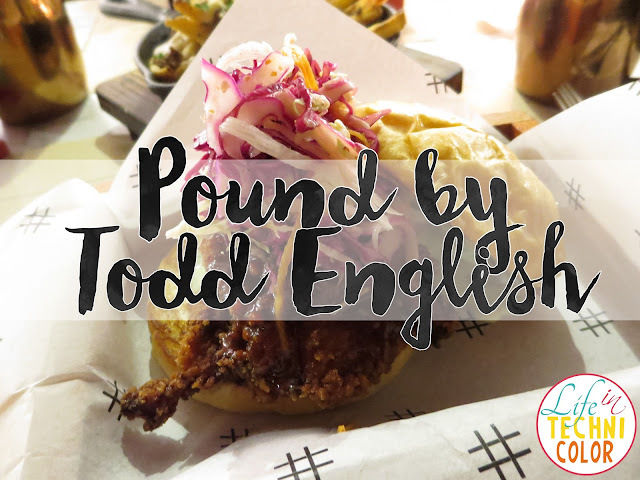 Here's the link.https://spotgrind.wordpress.com/2016/02/20/spot-hunt-pound-by-todd-english-restaurant-review/. Thank you so much for your post and more power to you! Thanks for dropping by, Liezel! :) I'll check your post too! A lot of famous chefs who are in the fine dining world seem to be investing in casual dining now which I think is fabulous. All of the dishes look amazing. To be honest I'm not a burger person but your pictures made me want it. Those fries! Oh hey, that's today! Hope you guys had fun! Gaah yes, Todd English Food Hall was good too! I'm writing about it soon!